is available in SOLID COPPER and several colors of .027 aluminum. NOTICE 09-01-2013: We will no longer carry the 9 Rollex colors with a red X. 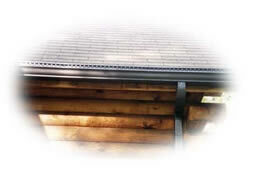 For the best looking job, we recommend choosing a color to blend with the roof rather than matching the gutter. Check out our Photo Album to see white gutters with a gray mansard roof & white gutters with red siding and a red roof. Click on the arrow to zoom in because you probably won't see from a distance. Colors on this web page may look different depending on your monitors settings. 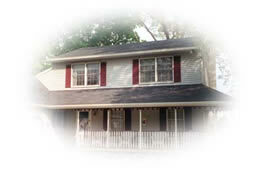 For VIP™ (Virtually Invisible Protection) we recommend choosing a color to match or blend with your roof. Ask your dealer to show you our Rainbow package of panel blanks, outside in the daylight.